John Ronald Reuel Tolkien Research Papers discuss the life of this author and his creations such as The Hobbit, and The Lord of the Rings. Research papers on famous authors or any of their works can be written by the writers at Paper Masters. J.R.R.Tolkien is an example of an author whose works are a large part of current culture. Critics may have initially overlooked Tolkien’s ability as an accomplished novelist, but his appeal to both young and old have garnered him a place in literary history. 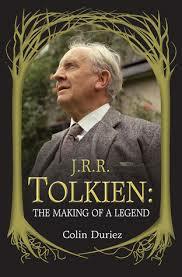 John Ronald Reuel Tolkien was born January 3, 1892 in Bloemfontein, South Africa. His father died when he was only four and his mother returned to England with her two children. They resettled in the small village of Sarehole and the rich countryside made such an impression that he would refer to these memories for the vibrant fantasy world he would come to create. His love for fantasy and the intricacies of language he acquired from his mother. She was educated in Latin and French and would spend much time in teaching these to her sons along with music and drawing. Tolkien’s mother Mabel also converted to Catholicism, which caused a great stir amongst her relatives. Unfortunately her early death from diabetes left Tolkien and his brother in the care of Father Francis Xavier Morgan, a Roman Catholic Priest. John Ronald was twelve years old and his brother was only ten. Symbolism in The Hobbit - The Hobbit is the prequel to the Lord of the Rings Trilogy. Symbolisdm in The Lord of the Rings - The Lord of the Rings is a highly regarded work of fiction that has inspired people and continues to do so. C.S. Lewis research papers examine the British writer, Oxford and Cambridge don, and Christian apologist, best known for his Narnia series and the book Mere Christianity. Paper Masters writes custom research papers on John Ronald Reuel Tolkien and discuss the life of this author and his creations such as The Hobbit, and The Lord of the Rings.